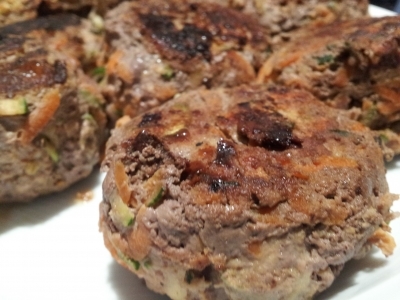 Very high in protein, low in fat and carbs and delicious meat balls. They're quick and easy to make and can be adapted other recipes, eg spaghetti and meatballs, onto a bread roll, etc. Try them with a napolitana sauce for additional flavour! Mix all ingredients together by hand. Once thoroughly mixed, form into balls and cook on medium heat in a non-stick fry pan until cooked through.